Our playing areas enable all dogs the freedom to come and go, inside or outside, all day during business hours. And these play areas are configured to separate smaller dogs from larger dogs at all times, to ensure the safety of your dogs. With our state-of-the art, modern facility and extensive pet care experience, we ensure that every pet who comes through our doors enjoys a safe, healthy and happy boarding, daycare & grooming experience. Our huge, fully supervised 4400 sq. foot indoor playground is linked to an acre of fenced in land, granting your dog the blessing of unlimited fun! Have we mentioned we employ Splash Pads - SandBoxes - DogHouses - Trees - Grass, Slides, etc.. so we can have even more fun. We provide a unique service to the parents of our boarded dogs: a daily text message to your cell-phone; briefing you about your dog's activities, friends, sleeping & eating habits, etc... along with a bunch of entertaining pictures of your dog at play(You will LOVE this free feature). Another unique aspect of our premium service is our 24 hour monitoring of all boarded dogs. which we share with you during business hours ! Fuzzz PlayGround has its own Youtube channel so you can watch live stream of your dogs playing during business hours. 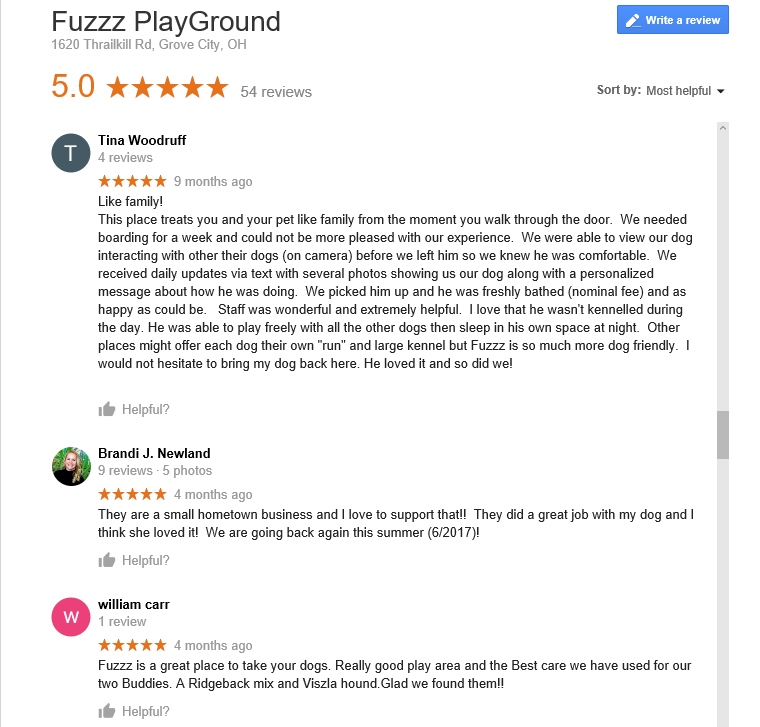 Down the street from StringTown Animal Hospital At Fuzzz PlayGround we specialize in giving the most love, attention, care, and exercise every dog could need. Our level of attention and care for dogs' safety and happiness has earned us a recommendation from Stringtown Animal Hospital, who are more than happy to lend a hand and offer assistance. It's like having a vet on staff.